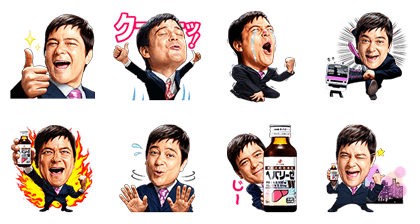 http://www.line-stickers.com/ – Hepalyse: Drinking Stickers Line Sticker | This sticker set was designed for everyone who enjoys a good, strong drink every now and again. 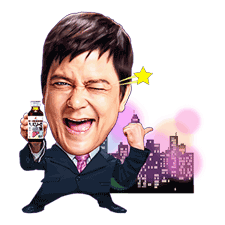 Let Jay Kabira be your guide as his colorful expressions lead you through a night of largely forgotten bliss. Available till September 8, 2014. Copyright : © ZERIA Pharmaceutical Co.,Ltd.